If you are looking for a job, you know you need a great resume. A good professional resume is the key to your dream job and can set you apart from the rest of the candidates. The first impression is everything to an employer when going through dozens of application, hence put your best foot forward with the top-notch resume. Recently the employment industry has witnessed the revolution in video resumes. Currently, a hot favorite amongst the job-seekers and employers, the video resume is slowly taking over the traditional resume. But what is the difference between a video resume and a traditional resume? The traditional paper resume is ideally one or two pages long document that consists of your educational and professional history. It also contains your personal information, contact details, career highlights, personal interests, and references. It is the same age-old format in which nothing is interesting to attract the employers. The benefits of a traditional resume lie in its ability to impart quick information for the hiring managers. The downside of the text resume is that many job seekers look better on paper than they do in the workplace and similarly, many candidates’ passion and ambition just doesn’t come through on one page. Unfortunately, the traditional resumes do not give a comprehensive picture of the potential candidate which may lead to the loss of the best candidate in the initial screening. Video resume puts your ‘face’ on your resume. The video resume is a short 60-90 seconds video clip giving details about your qualification, skills and experience. 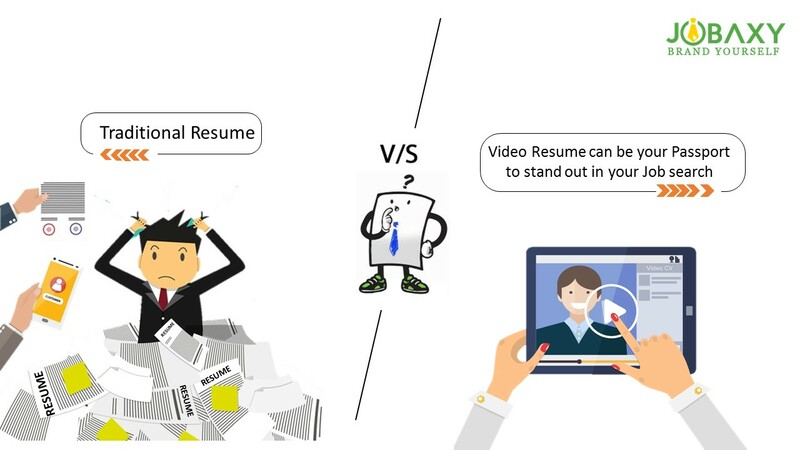 The video resume is a smart and unique way to express your skills, communication efficiency and attitude which is not possible with the text resume. The main aim of the video resume is to make you stand out from the rest of the applicants. It demonstrates your creativity to the employer and gives you complete liberty to project your skills the way you want to. Video resumes give the hiring managers a more personal feel for the candidate even before the actual interview. They get to see the verbal communication efficiency, body language and confidence of the candidate that can never be incorporated in the traditional paper resume. Having seen what the traditional and video resumes are, the video resume is a good option if you are looking for job vacancies in Philippines.It is the new-age technique that makes your efforts visible in acquiring the best job in Philippines.